Internet has wiped out geographical boundaries. A person sitting on the northern side of the globe can converse, carry out any business, transaction, study etc can do anything available on the southern side of the globe. Internet has revamped shape of the world map; it has made approximately 194 countries into one. This has also lead to amalgamation and emerging of new languages in each and every territory and as a “Language” is core foundation to carry out business apart from universal language English, country/local languages are stirring in a steaming pot in the internet world. 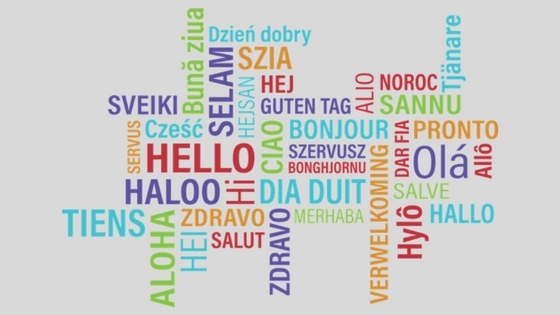 In E-commerce business, languages play a very important role. Earlier localized physical stores were boon for local citizens, they had their own accent to carry out business processes and local customers also were able to access services. But what would have happened when a person from another land landed to store? Back then during such scenarios, smooth communications were not that effectively carried out with foreign people. Similarly is the case with online E-commerce stores, English has been serving the majority of people and sites, business services are made in that medium too but for example what about provinces like China, Russia or France etc where they have their own country language? To solve such linguistic barriers Magento 2 has a solution called Language Package. Magento 2 provides huge advantage of language obstruction that is hindering your business. Get your online store built by Magento 2 Developers but incorporating multi-language feature and serve your customers in their local language. On the home page of your e-commerce website an option of language choice should be provided to customers, so on their first login or visit itself they can select the language and can access entire platform in that specific language. In Magento 2 each and every word is not translated rather a translation table is referred that would change entire store text. Apart from these packages, it is possible to customize a package. One can also use language packages created by others. Magento 2’s language package is so flexible that dialect can be built on basis of existing, parent class or translations by implementing language inheritance approach. Magento 2 Development is highly scalable; developers should implement this robust framework and should expand their client’s business scope. By inclusion of language package, infinite problems that were occurring due to language will get resolved. People will get to access multiple language options and they will be able to carry out entire shopping process with an ease. For every nationality languages are available. Magento 2 developers can access this language package at Magento 2 marketplace & along with package; Guideline document is also provided which has each and every detail related to the implementation of the package. So, get your existing businesses transformed into a global platform or from ground zero get your global shopping platform developed so that French, Russian etc speaking customers can shop from your store though you won’t be a professional dialect or.